Benefit from one of our special offers and enjoy your vacation at the Hotel Birgsauer Hof. 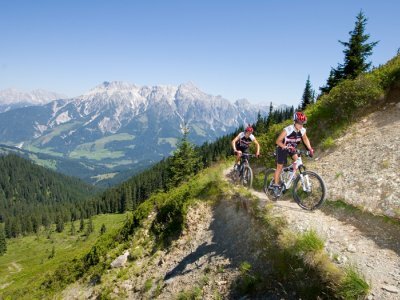 Discover the beautiful landscape around the Birgsauer Hof and enjoy the fresh alpine air and the beautiful scenery while hiking or e-biking. 3 Nights, 13.01. - 03.02.2019, 10.03. - 14.04.2019, 28.04. - 30.05.2019, 02.06. - 20.06.2019, 06.10. "It's not too little time we have, but it's too much time we do not use." Enjoy a timeout in the Birgsau. Green meadows, rugged rocks, boundless mountain peaks. Enjoy your mountain summer without worries and to the fullest - summer highlights guaranteed.